Directly from the pier of Pointe à Pitre you will embark on a comfortable and intimate catamaran: you will sail along the south eastern coast of Grande Terre enjoying the view and discovering the island from the Caribbean sea. 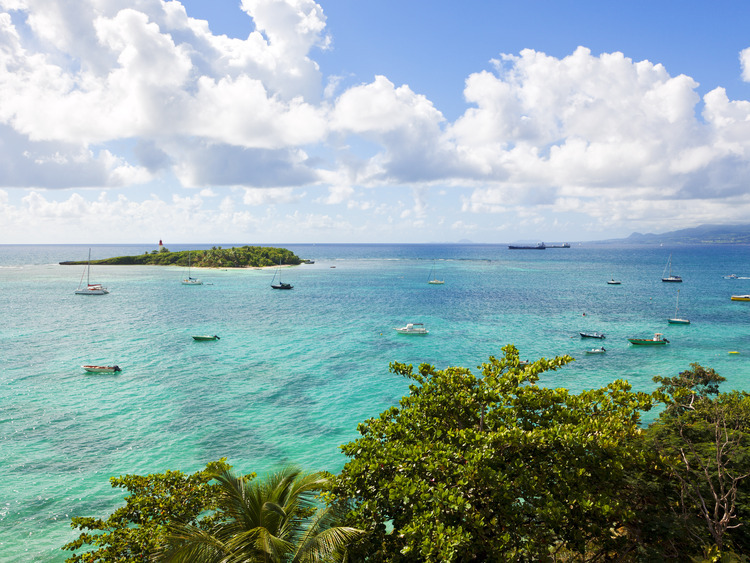 Your destination will be the îlot de Gosier Islet, a coral uninhabited islet under the protection of the Conservatoir du Littoral since 2003. From the sea you will approach the 21meters high lighthouse which is the only one building on the island. You will be have the choice to reach the islet with a short swim or on a lazier way, on the zodiac, annexed to the catamaran. Once ashore on the duty: white powdery sand, turquoise waters and idleness. Enjoy some sunbathing or just a refreshing swim in the crystal clear sea as well as cold drinks and exotic fruits served on board. Para esta excursão não está previsto o acompanhamento de um guia. Não esqueçam levar o maiô/calção de banho, toalha, protetor solar e óculos de sol. Os lugares são limitados, portanto, faça logo a sua reserva. É necessário ter mais de 5 anos para participar.